WHAT A POWER PLAY: The women’s basketball team fell to Amherst 65-45 in the finals of the NCAA DIII Tournament. This is only the second time in program history the team has competed in the Final Four of the tournament. This is the second year in a row NESCAC teams have met in the championship game, with Amherst beating Tufts last year to win the title. This is the second time in program history that the Polar Bears have made it into the Final Four of the NCAA tournament and the team completed the season with the second-most wins on record. Captain Kate Kerrigan ’18 said that in the final game, Amherst tested the Polar Bears’ defense. In the fourth quarter, Bowdoin’s defense broke down completely, thwarting any potential offensive momentum, when the Mammoths went on a 17-point run. A struggle to make shots was another factor that contributed to the team’s defeat. 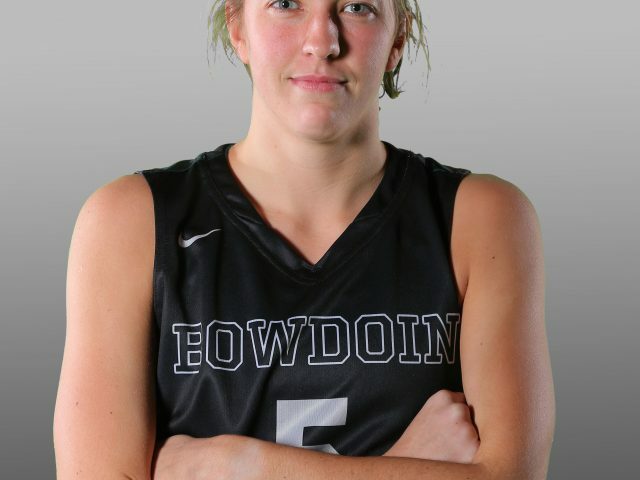 Bowdoin connected just 27 percent of its shots compared to Amherst’s 48 percent. “We could have tried to force the issue more of getting into the paint [and] getting better ball movement,” said Kerrigan. Shibles believes that in a championship game, referees expect higher standards from the players, refusing to overlook commonly ignored calls during the season. This can have a negative impact on a team. Despite the loss, the team has been getting an immense amount of support from the Bowdoin community. On Wednesday, Steve Loebs ’60 organized a reception for the team that was attended by approximately 45 fans, parents and staff. Leading up to the final, Bowdoin beat undefeated Wartburg College in the Final Four with strong defensive play. According to captain Lauren Petit ’18, the commitment of returning players to improving upon last year’s performance gave the team a competitive edge going into this season. Between tournament games the team continued to improve, focusing on a mix of offensive and defensive skills. Recently, Kerrigan was awarded D3Hoops.com Northeast Player of the Year and WBCA’s DIII Player of the Year in a field of 6,000 athletes, among other awards. Shibles recognized the team’s work behind her success. After an upsetting 60-48 loss in the NESCAC tournament to Tufts, the Polar Bears had to rely on an at-large bid to participate in the NCAA tournament. Bowdoin was not expected to be a national contender as it had to face teams it had lost to in the regular season. 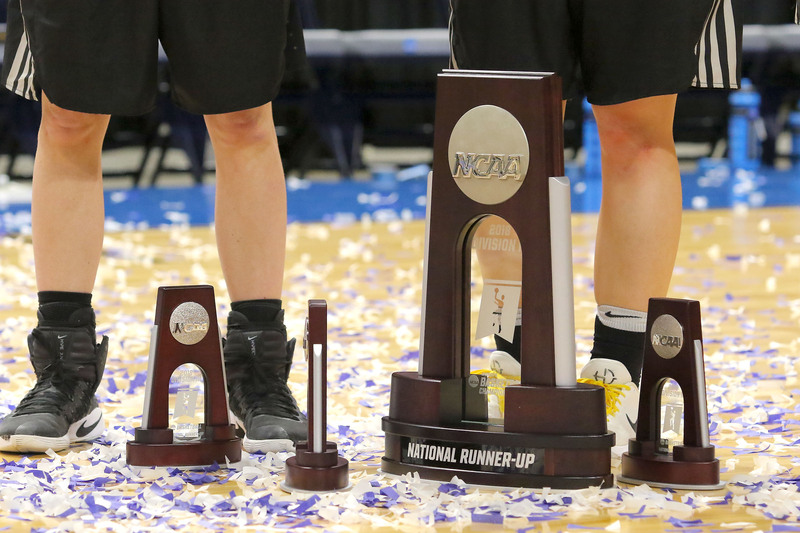 Despite the predicted brackets, the women’s basketball team fought hard for its spot among the elite. 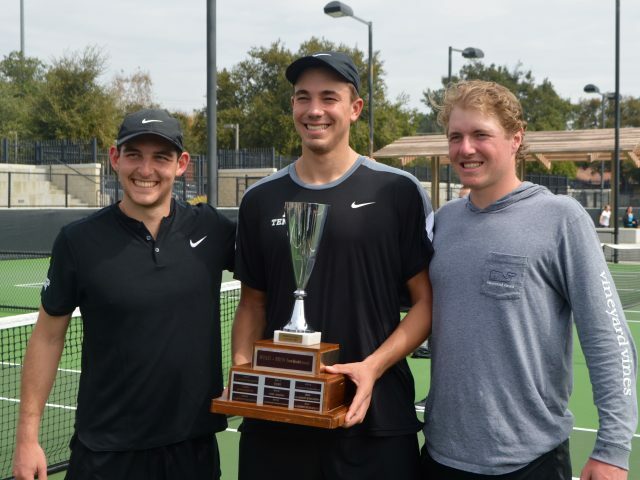 The Polar Bears will use this year’s tournament experience to its advantage next season.